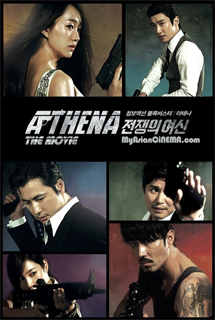 Review: A terrorist group known as “Athena” and led by evil mastermind Son Hyuk threatens South Korea and the world. It is now up to special agent Lee Jung Woo of the National Security Agency to foil their terrifying conspiracy. Jo Soo Young, the daughter of the South Korean president, is kidnapped and hidden away in Italy. Jung Woo and his team are given the assignment to find her and bring her back.